A slightly amended version of the scanner study is online. The amended part concerns mainly the section on The Director by Lasergraphics. Please always use the link to the DIASTOR results page, we will upload new amended versions if we discover errors or inconsistencies. Links to PDFs of earlier versions will be dead once older versions are replaced. Barbara Flueckiger, David Pfluger, Giorgio Trumpy, Simone Croci, Tunç Aydın, Aljoscha Smolic (2018): Investigation of Film Material–Scanner Interaction. Available for free download on the DIASTOR results page. Meet the authors of the paper at the The Third International Conference, Colour in Film in London, March 19 to 21. A new results page has been created to provide information of all the case studies executed within the framework of DIASTOR. As of today, the results page is complete with short abstracts. Reports will be uploaded continually, most of them will be provided for free download. Please find the corresponding information at the end of each abstract. Follow this blog to receive all the updates! 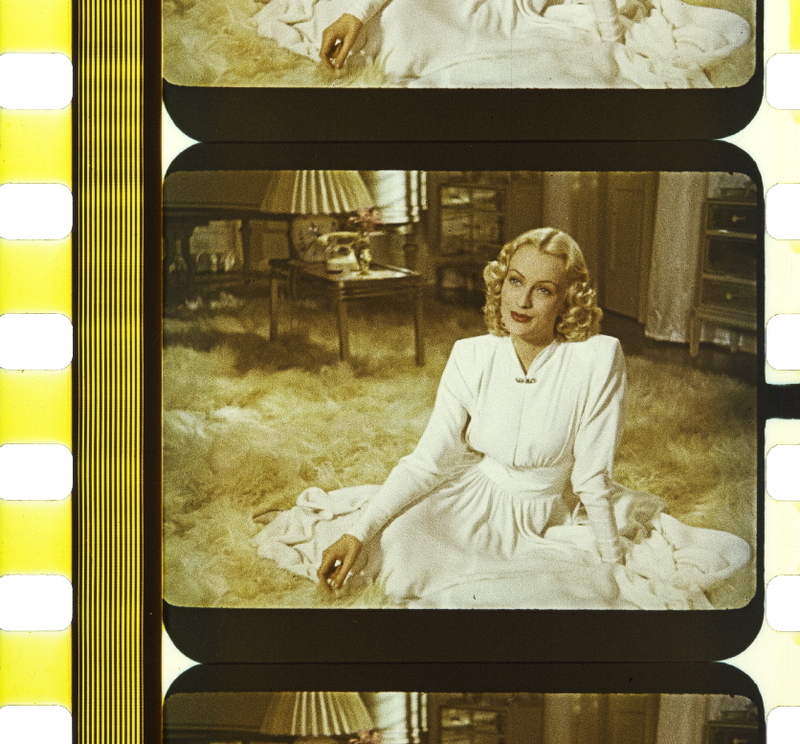 Peter Monaghan has written an extensive article for Moving Image Archive News that features several research projects on color and color restoration managed by Barbara Flueckiger. 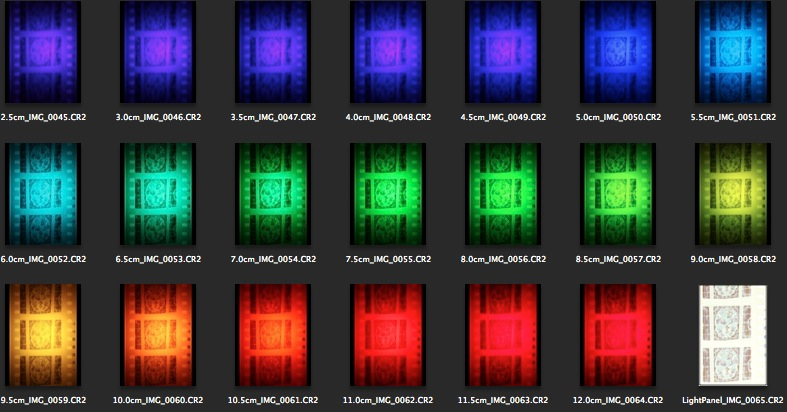 DIASTOR and its approach to the restoration of film colors is one of them. After its premiere at the silent film festival Giornate del Cinema Muto in Pordenone today, the DIASTOR Showreel is available in HD on YouTube now. The showreel provides a short overview of some case studies executed in the framework of DIASTOR, with tinted films, Dufaycolor, Technicolor, and Agfacolor, including scanner tests and chemico-physical measurements. Grover Crisp, EVP Asset Management, Film Restoration & Digital Mastering at Sony Pictures Entertainment, and Michael Friend, Director of Digital Archives at Sony Pictures Entertainment, organize one of the most interesting conferences on film archiving and restoration. Right in the heart of Hollywood, at the Linwood Dunn Theater, the Academy’s newest cinema with 4K projection, the Reel Thing Conference attracts representatives of the major Hollywood archives and researchers in the Los Angeles area. DIASTOR project manager Barbara Flueckiger will present final results of the project, including several case studies and the scanner tests. She will also provide a first glimpse of her new research project “FilmColors“, funded by the most prestigious Advanced Grant of the European Research Council. See abstract on the conference website! In collaboration with Stiftung Deutsche Kinemathek – Prof. Martin Koerber and Daniel Meiller –, DIASTOR has restored the German silhouette film Der Märchenwald – Ein Schattenspiel [The Fairy Tale Woods – A Shadow Play]. The film was directed by Otto Linnekogel and produced in Germany in 1919/1920, several years before Lotte Reiniger’s famous silhouette film Die Abenteuer des Prinzen Achmed (GER 1926). 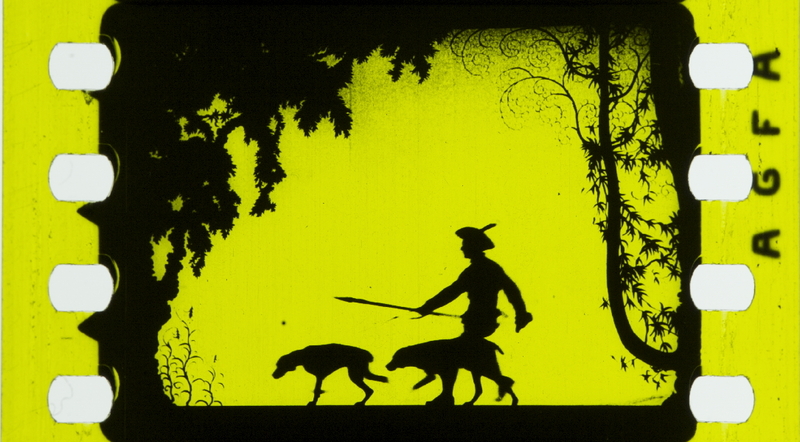 In contrast to Lotte Reiniger’s animated film, Der Märchenwald is a live-action silhouette film with actors playing on a backlit stage. At DIASTOR partner cinegrell postproduction the tinted nitrate print was scanned on the ARRISCAN in 4K and then color graded based on color references produced photographically from the nitrate print by a calibrated camera set-up. The case study was supervised by DIASTOR senior researcher Dr. Claudy Op den Kamp. Le Giornate del Cinema Muto, the world-renowned silent film festival held annually in Pordenone, Italy, will show the newly restored version in October 2015. The screening will be connected to a talk on the digital reconstruction of early applied colors, given by DIASTOR manager Prof. Dr. Barbara Flueckiger and Prof. Dr. Ulrich Ruedel, professor at the Hochschule für Technik und Wirtschaft in Berlin. 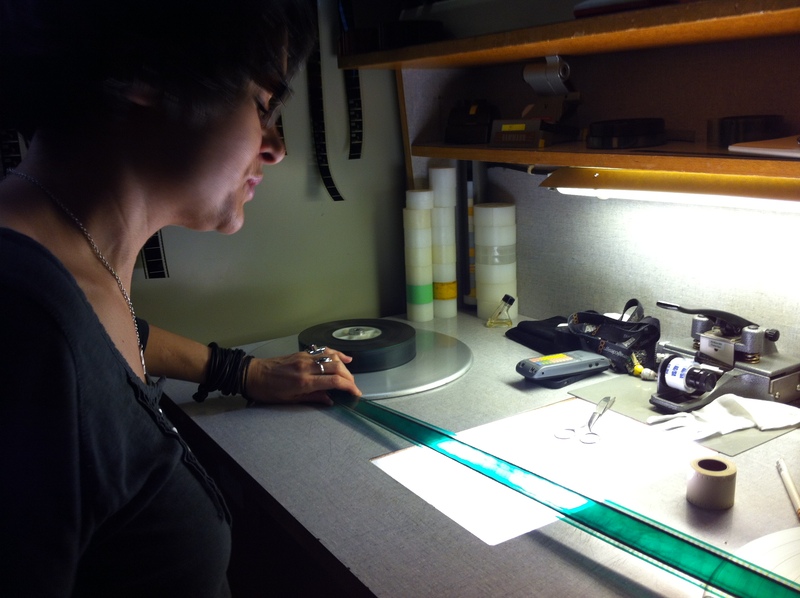 Scanner operator Nicole Allemann inspecting the nitrate print at DIASTOR partner cinegrell postproduction’s facility in Zurich. Following the successful collaboration on the restoration of Das Cabinet des Dr. Caligari, where DIASTOR contributed the color analysis, the Friedrich Wilhelm Murnau Foundation teams up with DIASTOR again for the restoration of two early Agfacolor films. The two films Immensee (1943) and Opfergang (1944), produced during the Third Reich in Germany and directed by Veit Harlan, will be restored under the supervision of Anke Wilkening during the next few months. In June 2014, Barbara Flueckiger and Giorgio Trumpy from the Swiss research project DIASTOR executed a thorough colorimetric analysis of three historical Agfacolor film elements, a negative and a positive print of Opfergang and a positive of Immensee respectively. These analyses were completed by the photographic documentation of a larger group of early Agfacolor films in the Národní filmový archiv / National Film Archive in Prague in 2014 and an extensive one at the Bundesarchiv Filmarchiv in Hoppegarten near Berlin in February 2015. Principal component analysis of the Agfacolor negative. Credit: Barbara Flueckiger and Giorgio Trumpy, DIASTOR. From March 29 to 31 the Colour Fantastic Conference will be held at EYE Film Institute Amsterdam, and it is co-organized by Sarah Street (University of Bristol) and Joshua Yumibe (Michigan State University/University of St Andrews) with researchers Vicky Jackson (University of Bristol) and Bregt Lameris (Utrecht University) in collaboration with the Amsterdam School for Cultural Analysis and the Amsterdam Centre for Cultural Heritage and Identity (University of Amsterdam). The Colour Fantastic – Chromatic Worlds of Silent Cinema conference […] brings together multidisciplinary specialists to share contemporary research that will inspire the next twenty years of research on colour in silent film. A diverse range of themes is explored in the conference reflecting the chromatic richness of silent film. Topics include: archival restoration, colour film technology, colour theory, experimental film and intermediality. Based on two early cinema examples from the 1910s from the collections of both EYE Film Institute Netherlands and the Deutsche Kinemathek, the paper will present several areas of that particular focus, which resonate with contemporary archival debates. On the one hand, it will highlight specific problems in scanning early film colors, on the other, it will concentrate on the subsequent reproduction of tints in the digital domain. By reflecting on the ‘Desmet method’ as an analog method for preserving early cinema and by attempting to remodel it for digital workflows, issues of color reference come to bear on a wider scope of how evolving technologies shape the aesthetics and interpretation of filmic source material. 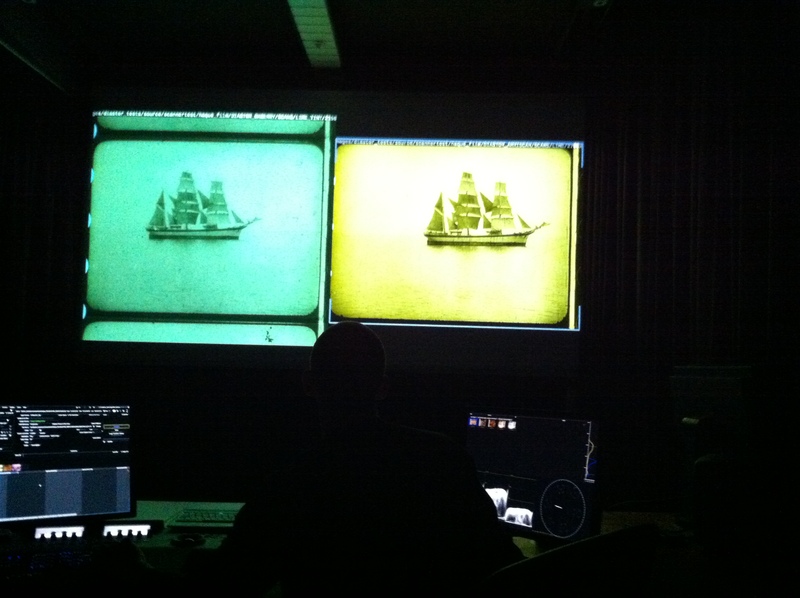 Comparison of different scans of the tinted film “Aan de Kust van Istrië” (1910), projected in DIASTOR partner cinegrell’s color grading suite. In collaboration with EYE Film Institute, Sound and Vision und Haghefilm Digitaal.